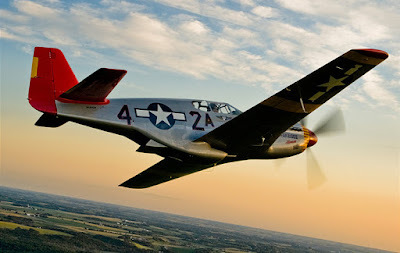 "...The Tuskegee Airmen are to military aviation what Jackie Robinson is to major league baseball. It is surprising that many Americans, both young and old, have not heard of them." The hard-scrabble Depression years were aviation’s glamour era. A public desperate for relief from day-to-day woes hung on the exploits of aviation pioneers such as Amelia Earhardt, Howard Hughes, Eddie Rickenbacker and Jimmy Doolittle. But for young men with the wrong skin color, the dream of a career in aviation dangled beyond reach. A 1925 Army War College study concluded that “African-Americans were inherently ill-suited for combat physically and psychologically,” so black pilots were not accepted in the U.S. military. The picture was little better for those who wished to pursue commercial aviation. Charles Anderson could find no flight instructor willing to take him. He was so determined to fly he bought his own plane and taught himself to take off and land. Impressed by his grit, German-born Ernest Buehl agreed to work with him in 1929. Buehl recalled the battle Anderson faced. “When the government agent came [to license Anderson], he took me aside and called me everything under the sun because I would even attempt to get that man into an airplane. I finally told him, ‘I’m a foreigner. I’m a citizen by the paper. That guy’s born here.’” Charles became the first black American to receive his pilot's license and worked as a flight instructor through the 1930s. In 1939 the winds of change began to blow. 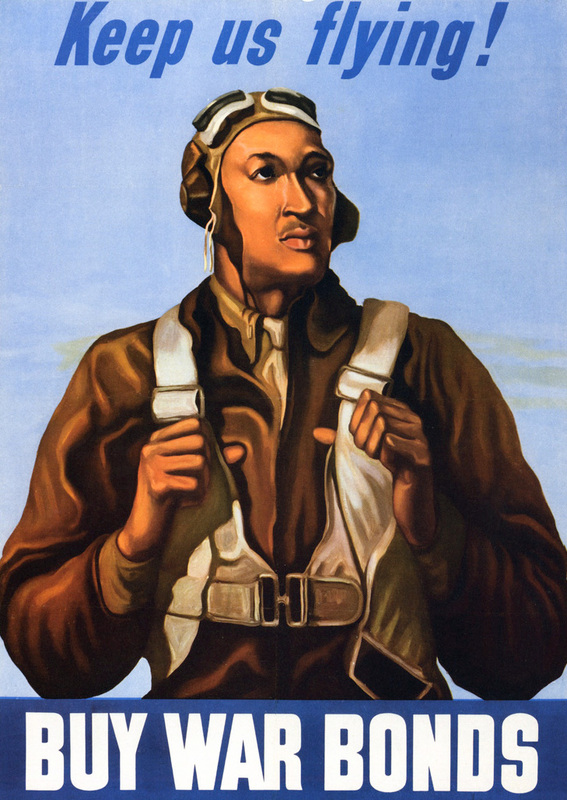 Congress ordered the Air Corps to accept blacks into its Civilian Pilot Training Program (CPTP). Dozens of black men successfully completed the program. But the Army Air Corps wasn’t interested in offering them slots. Pressure from civil rights leaders mounted. President Roosevelt made campaign promises. Historic Tuskegee Institute, a private black college founded by Dr. Booker T. Washington which had run a successful CPTP, was selected to host a new program. The effort, nicknamed the “Tuskegee Experiment,” had a stated goal to determine whether black men could succeed as military aviators. Many believed the true goal was to prove they could not. The Airman and Mrs. Roosevelt: "You Can Fly All Right"
The program got a P.R. “lift” when Eleanor Roosevelt visited the Tuskegee campus in March, 1941. Charles Anderson, the black pilot who had taught himself to fly, now served as head of flight training for the program. 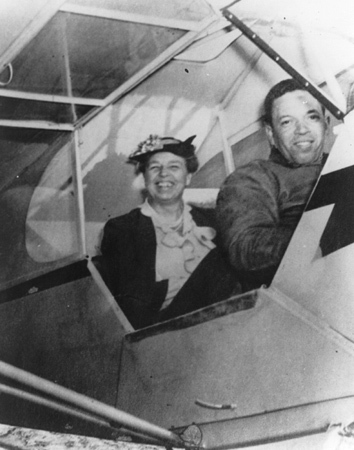 Much to the secret service’s chagrin, Eleanor agreed to a half-hour flight with Anderson. The photo op gained widespread visibility, and the First Lady leveraged personal connections to raise $175,000 to help complete building projects at the airfield. When Harold Brown graduated from high school in June 1942, the Tuskegee program awaited him. Charles McGee grew up a preacher’s kid in the Midwest. Charles’ father, an AME pastor, instilled in him a belief that all people stand as brothers and sisters before God, regardless of skin color. An outstanding student, Charles enrolled in R.O.T.C. at the University of Illinois and participated in the Pershing Rifles, an elite drill team. He was accepted into the Tuskegee program. The discrimination Charles had experienced growing up did not prepare him for life in the South. The segregation extended to the air base. After the men graduated, the Army’s strict segregation dictated that black officers could not serve over white enlisted men. 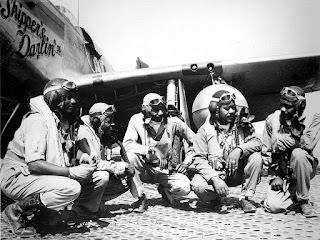 Qualified black pilots could not receive their commissions until a companion program in Illinois produced black crews and a full complement of mechanics and supporting staff. Army policy also restricted black officers to assignments in “predominately black nations.” But the need was great enough that 355 graduates of the Tuskegee program saw combat over Italy and Germany anyway. The group’s record proved exemplary. They flew over 1500 missions, losing only 27 bombers they escorted, as compared with an average of 46 for other units. Eighty-four Tuskegee Airmen lost their lives. Thirty-two were captured. Harold Brown was one of them. CBN has produced a fascinating video clip in which Brown credits God with intervening twice to save his life after his plane went down in Germany. 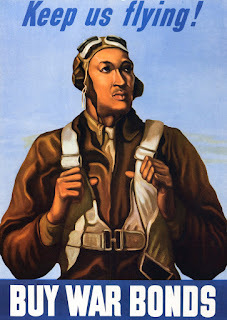 The outstanding service the Tuskegee Airmen rendered—in spite of every obstacle—was instrumental in bringing our nation a step closer to the Biblical truth McGee’s father taught him. God is no respecter of race. All who kneel before the Cross do so at the same level. I stepped away from a marketing career that spanned continents to write what I love: stories of reckless faith that showcase God's hand in history. I'm so excited to see my debut novel, The Plum Blooms in Winter, launch this October from Mountain Brook Ink! Inspired by a remarkable true story from World War II's pivotal Doolittle Raid, The Plum Blooms in Winter is an American Christian Fiction Writers' Genesis Contest winner. The novel follows a captured American pilot and a bereaved Japanese prostitute who targets him for ritual revenge. For updates and related goodies, you're invited to subscribe to my newsletter HERE. In our times it's hard to fathom the effect of segregation. Although, I suppose, there are some who say that women experience that "glass ceiling" which in my mind is similar to the stifling atmosphere of segregation. However, I don't believe that anything nowadays can keep a determined person from achieving their dreams. Thank you for the comment, Connie! I agree... learning about what these men experienced really made me angry! Praise God, who makes us all one in Him! This is an amazing post. Thank you for sharing all of this information about the struggles that black men had becoming pilots, especially in the military. I signed up to receive your newsletter. Your book sounds wonderful.